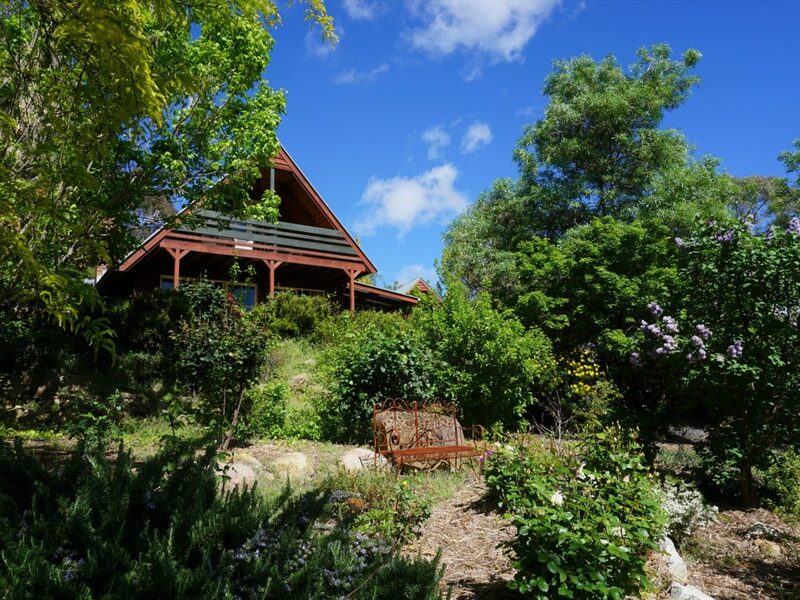 Camellia Cottage offers guests pure relaxation and comfort surrounded by a tranquil garden and picturesque views of Beechworth. This self-contained cottage is perfect for couples, families and groups, and can accommodate up to six guests. Sip your morning tea or coffee nestled amongst the gardens and finish off your evenings sitting around the open fireplace enjoying the complimentary red wine and port. This delightful three bedroom cottage has a comfortable open plan living dining area, good size bathroom with shower and spa bath, and an upstairs balcony where you can unwind and take in the peaceful surroundings. The kitchen has all the at home comforts including a fridge, dishwasher, electric cooktop, microwave, small convection oven, toaster and kettle. Also included is a television and DVD with a selection of movies, split system air-conditioner/heater both upstairs and downstairs, barbecue, private carport and laundry with washing machine and dryer. Camellia Cottage is located just outside the heart of historic Beechworth; only a short walk into town taking in serenity and wonderful sights of the gorge along the way. The main bedroom downstairs has a queen bed, while the two bedrooms upstairs have two single beds each. No pets. Cancellation fees apply. Please contact to find out more about cottage prices.